Choo choo. 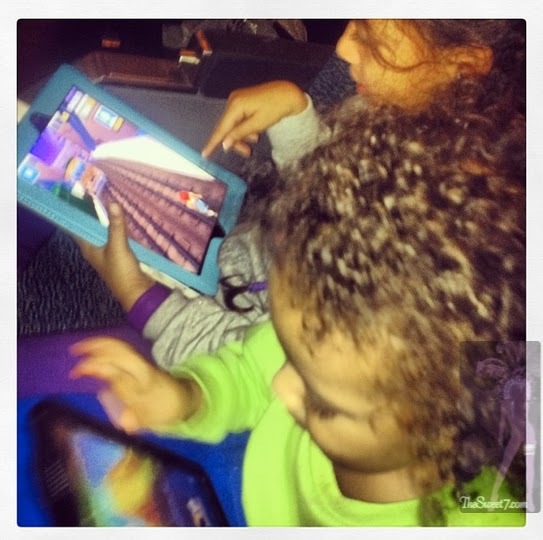 Since having a two-year-old son, trains have become all the rage in my household but thinking about it, every home of mine since Vermont (my daughter was born there), I've heard the sound of trains rolling across the tracks. What a surprise, the first few days in our new home in Vermont. I heard a train whistle blaring. Looked out my window across the street from my house, and was alarmed by the sight of a train slowly snaking through my neighborhood. Later, I discovered that the train station was station a five-minute distant walk from my house. Over time, I actually fell in love with trains instead of being perturbed by their scheduled arrivals into our little New England town of Essex Junction. 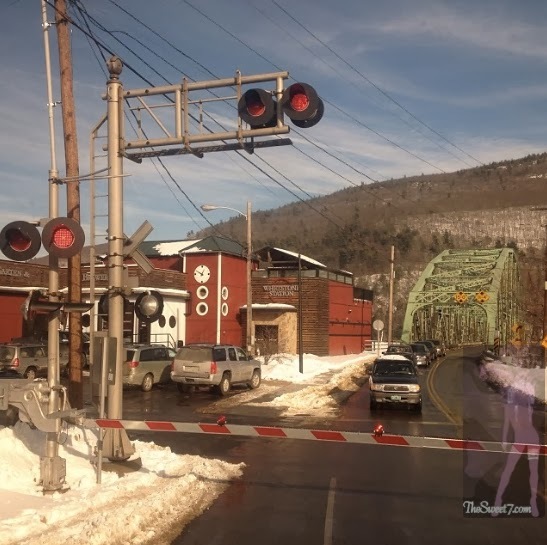 Nowadays during summers in Vermont, I sometimes encourage my children to stand out in the field and wave the passing trains, the train operator carrying either The Vermonter passengers or freight along the North Eastern Kingdom. In return, we too are greeted with either the train operator's friendly wave or blown whistle. Even while writing this post, I heard a train on a Virginia track not too far into the distance. 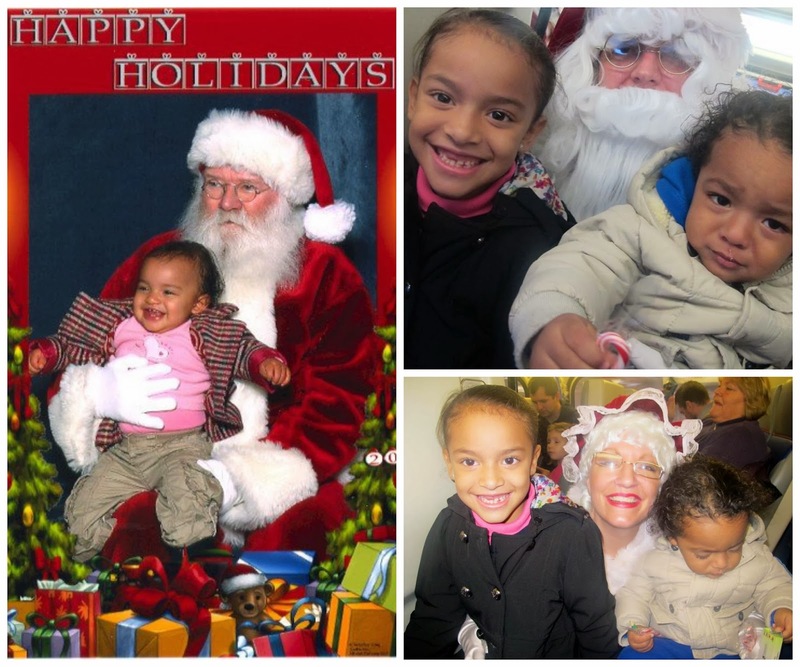 Just before Christmas, the Virginia Railway Express (VRE) gave kids and their parents the opportunity to ride a train and meet Santa & Mrs. Claus. So I got tickets for the twenty-minute train ride, which uses the opportunity to remind people about the importance of rail safety. Along for the ride was Santa’s helpers joining in the holiday festivities by handing out candy canes and coloring books, and a high school choral group sang Christmas carols. Ok, I was so excited to see Santa … juvenile almost. My daughter teased me while my son was scared stiff by the jolly old fellow, just like my daughter when she was his age. 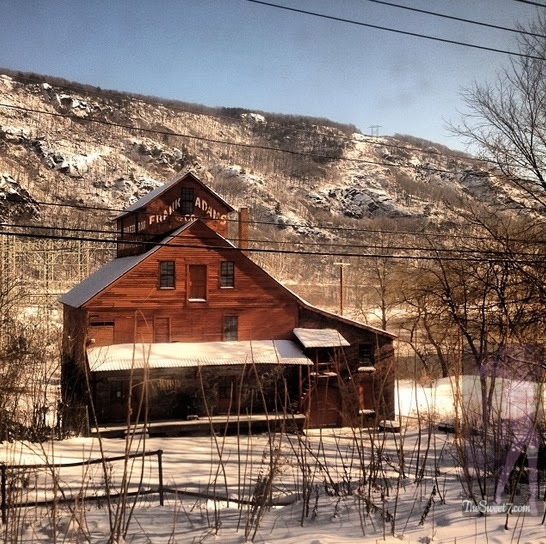 That brief Christmas train ride with my kids, left me longing for a longer train ride, and I was thinking a train ride to Vermont during the summer. 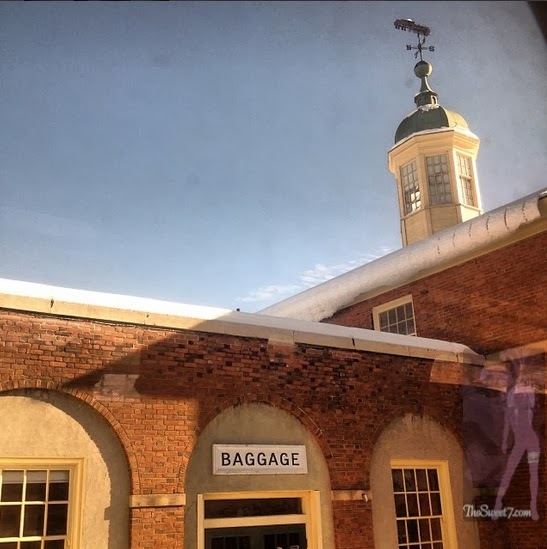 Little did I know, I would take an eleven hour AMTRAK train, The Vermonter from the second Vermont train station stop, opposite my old home to Washington, D.C only 3 weeks later, and days into the new year. School reopened, end of the first week of January, and my family and I were stuck in Vermont due to snowstorms. Vermont temperatures were sub-zero (-16F to be exact was the lowest whilst there) and flights were either delayed or cancelled, leaving planes incapacitated and passengers in shambles. The ground below freshly fallen snow was ICE. Every step I took was ever so gentle, so as not to bust my a$$. Sunday morning, we arrived the train station opposite our old Vermont home. The train station was just a simple, no fuss enclosed waiting room area. It was not big enough to hold all the awaiting passengers, attempting to board amidst the airline travel hiatus. By exactly 9:25am, the Amtrak train we stand out in the fields and wave in the summer arrived. The conductor stood before the steps to lend a helping hand to passengers boarding the train. I had my I.D ready to present, and at no point did anyone ever ask. Once on board the train, after my second train ride in less than a month, it appeared that once again it was every man for himself. Since there was no assigned seating. So my family quickly filled a row, my daughter sat with me while my son stayed with his daddy. I figured with this seating arrangement, we’d get a focal advantage of looking out from either side of the train. By the time, we offloaded our jackets and bags in the overhead compartment the train was already on its way. When the conductor got to us, he asked whether we wanted the family seating. I took a peek to where he pointed and noticed four seats, with two facing each other. Since we were all settled, and I liked the privacy of sitting in an entire row, we decided against changing seats. 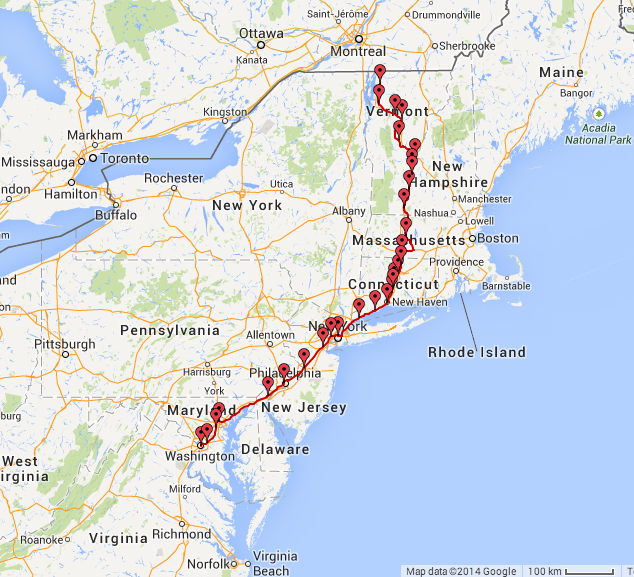 In a twist of fate, the college student’s credit card was denied as he called AMTRAK from his seat. Aww, I could hear his initial annoyance, soon enough he was frantic and that pulled at my heartstrings. When the conductor returned to scan his ticket, he told him the student gave him an update. The conductor probably seeing his nervousness told him he would charge him his reservation rate, as long as he could give him another credit card. I suppose it all got smoothed out because the young man travelled his entire route. When you book, heed the advice of the train conductor, reserve and pay for your train tickets via the 1-800 Amtrak number, do not wait to do so on board. Even my boarding Vermont station has no ticket office or quik track kiosk. 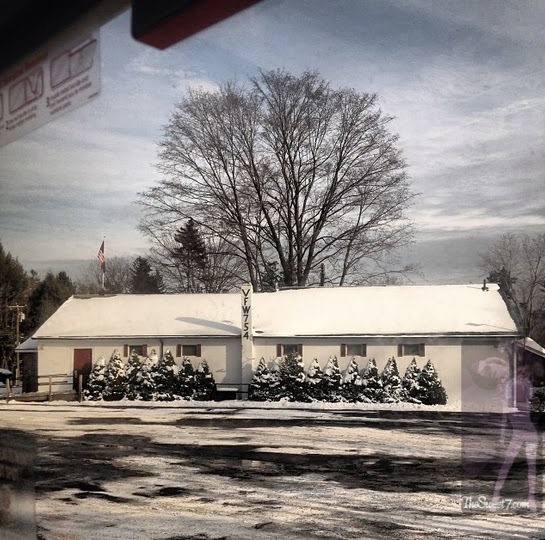 The Vermonter snaked along the wintry scenic vistas of the Green Mountain State (Vermont) but beyond Amherst, Massachusetts all that New England charm was lost. The trip southward presented the congested great cities of the Eastern United States; New York City, Philadelphia, Baltimore and Washington, D.C. At that point, I put my camera away and the night fell upon us. Yes, going by plane is generally faster (add in 2 to 3 hour advance airport arrival time, don't forget going through TSA, in addition to flying time .... or yes, don't forget to think about flight cancellations and delays ... you're basically stuck, and going no where). Of course, by plane you do not get to see America either. 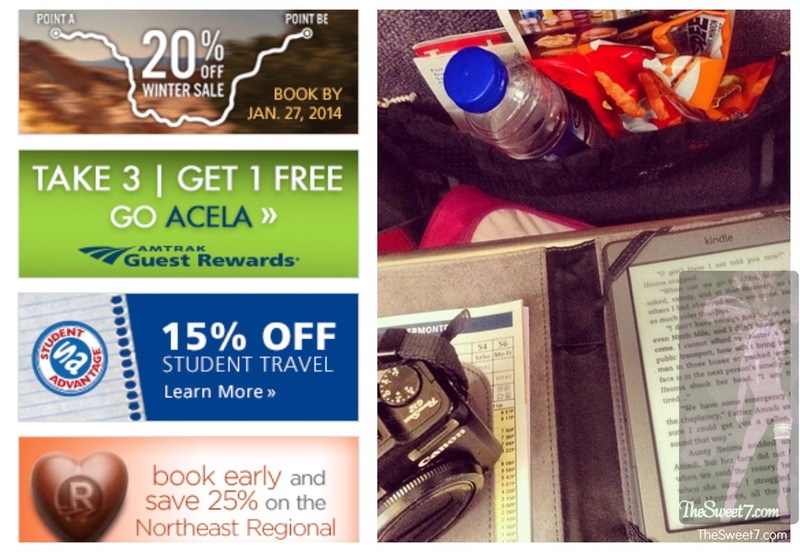 The AMTRAK train was affordable, hassle free and a wonderful way to discover America. There were no seat belts and everyone is free to move about the cabin. There is a meal and dining car (caboose) too. Nowadays, airlines no longer provide snacks or meals but the food and beverage options on the train ran the gamut. 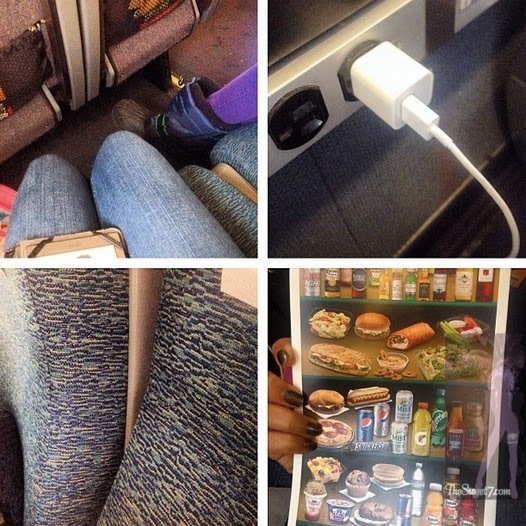 Shoot, you could pack and board the train with your own food and DRINK. Yes, no having to throw out liquid before boarding. And the passengers were certainly entertaining. I people watched and listened to nearby passenger conversations, all while reading my first book of 2014, Purple Hibiscus by Chimamanda Ngozi Adichie. Oh yes, the soothing clickety clack beats turbulence any day. Despite having to stop twice to make sure ice was not attached to the train and needing extra time letting the influx of weather worn passengers get on and off, I would love to ride the train again ... California next! Don't take my word for it, go look ... AMTRAK or contact AMTRAK Vacations to book your next vacation, your adventure begins the moment you board the train. 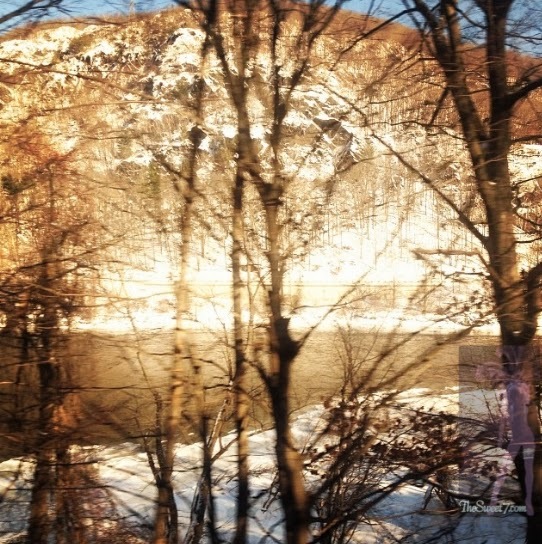 Video from my train ride ... somewhere in Vermont! My pictures along the way ... mainly from Vermont! This is a segment from the film Reveille with Beverly from 1943; the song was composed in 1939. 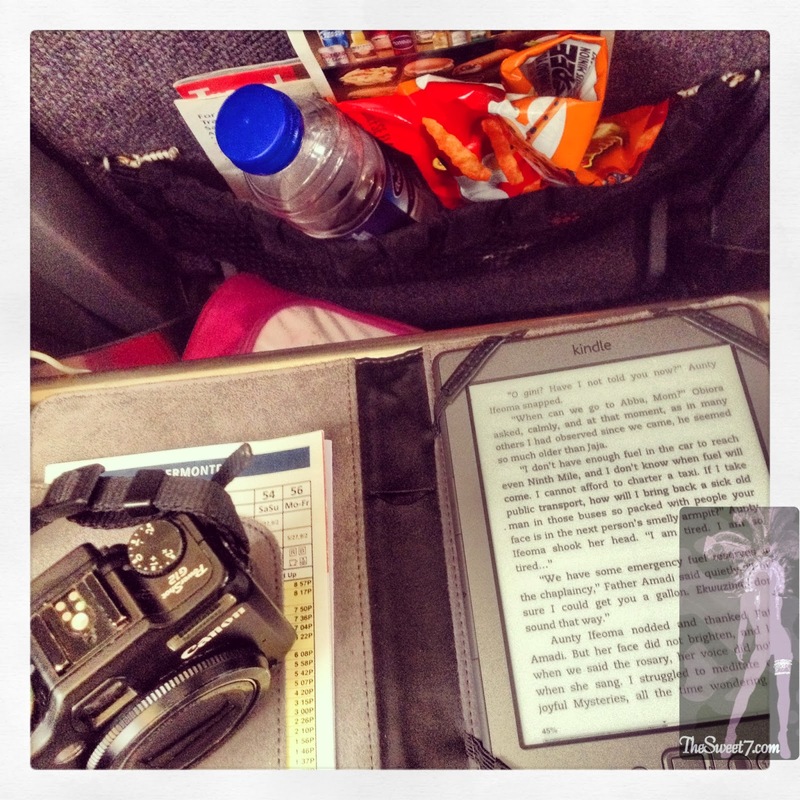 Travel by Train … CHECK. Crossed that off my bucket list! As for you, just don’t miss the train!